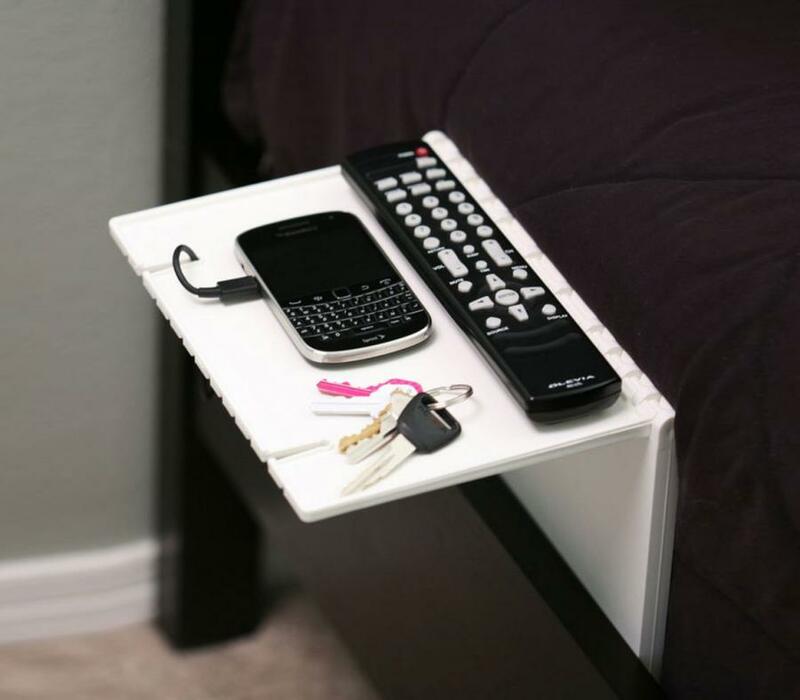 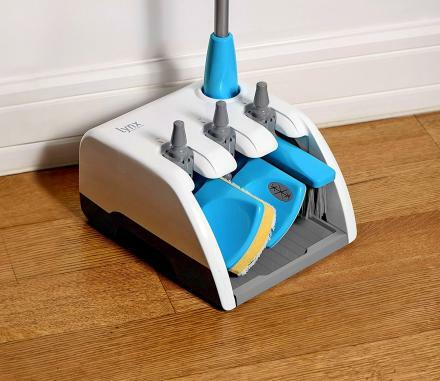 The bedside shelf is a handy little shelf that connects right to the side of your bed and acts as a shelf to hold your TV remote, your phone while it charges overnight, your keys? Why would someone need to put there keys next to their bed? 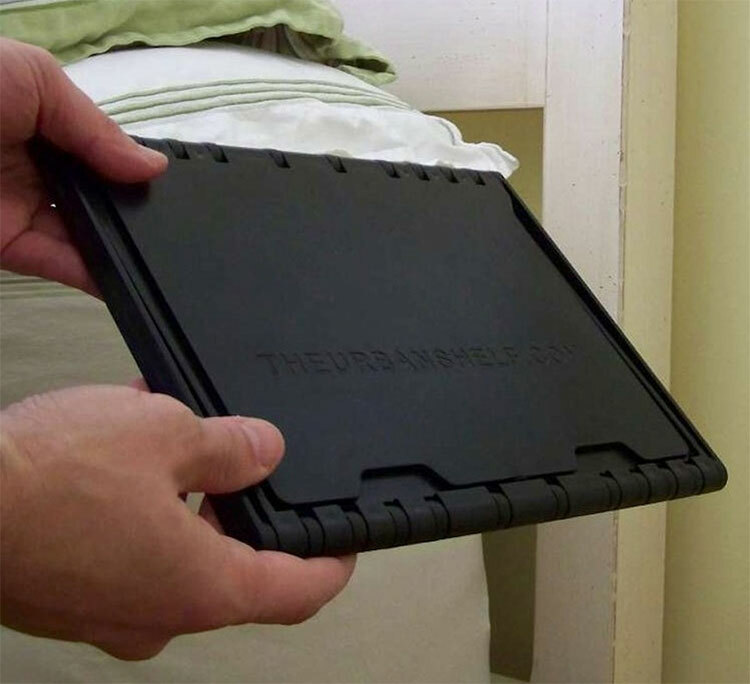 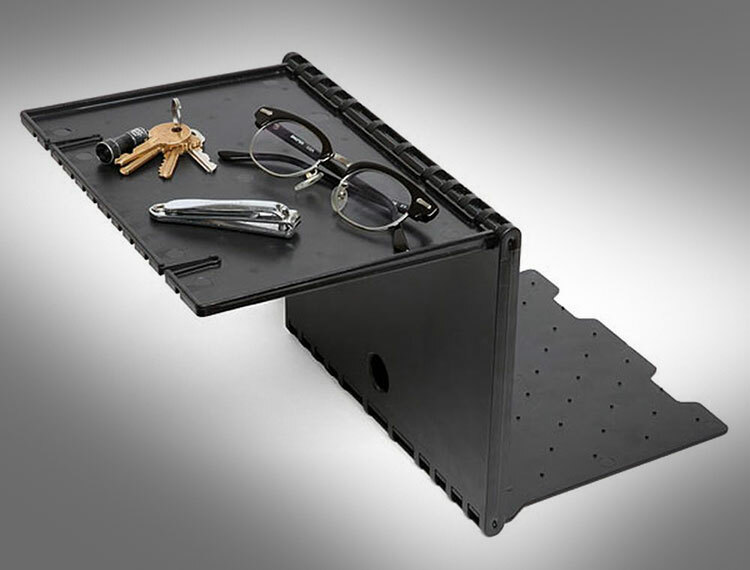 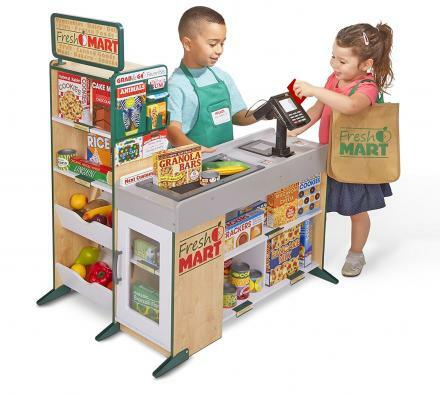 The urban shelf can also hold your tablet, a book, your glasses, a light, and other essentials such as tissue paper and lotion. 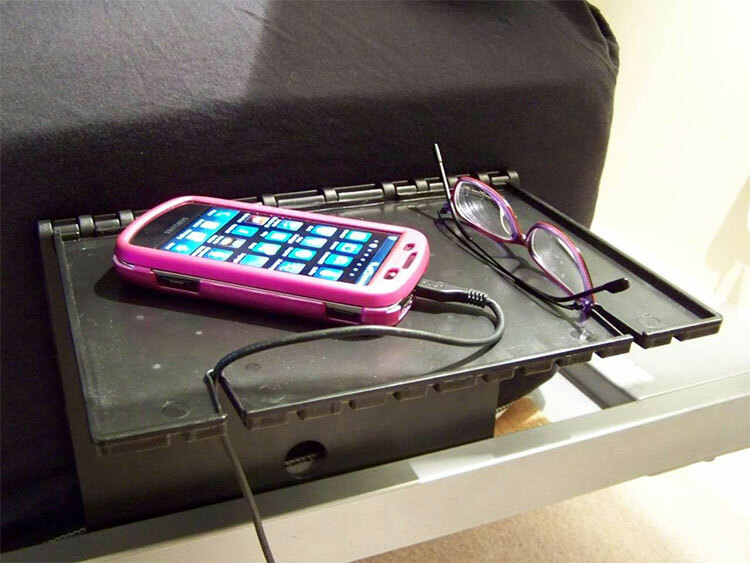 Who needs a night stand that takes up precious floor space when you can have a table that hovers via magic along the side of your bed. 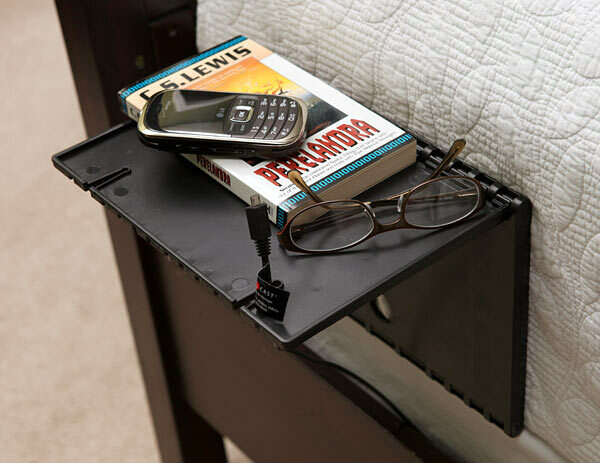 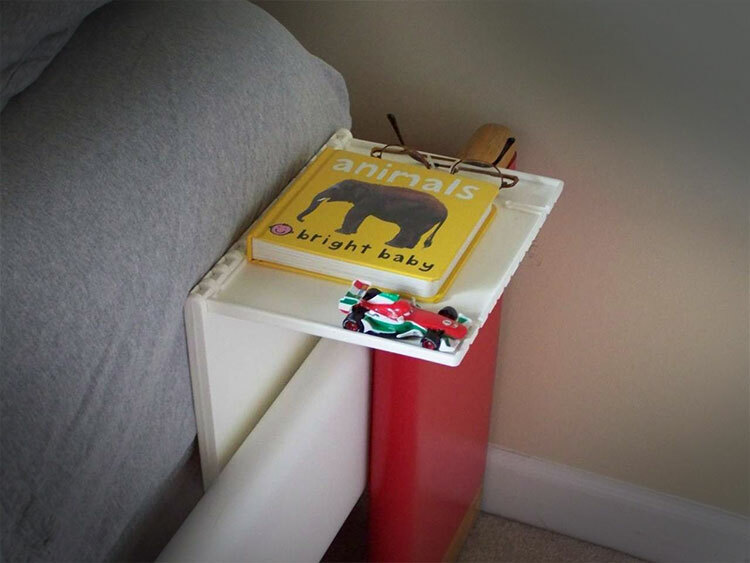 The bedside shelf is portable, lightweight, folds flat to only a 1/2 inch thickness againts your bed, doubles as a iPad or tablet stand, and comes in a plethora of different colors to choose from.